Heading by JA USA's Ed Grocholski, the Centennial Marketing workstream recently developed a JA Centennial Planning Guide. 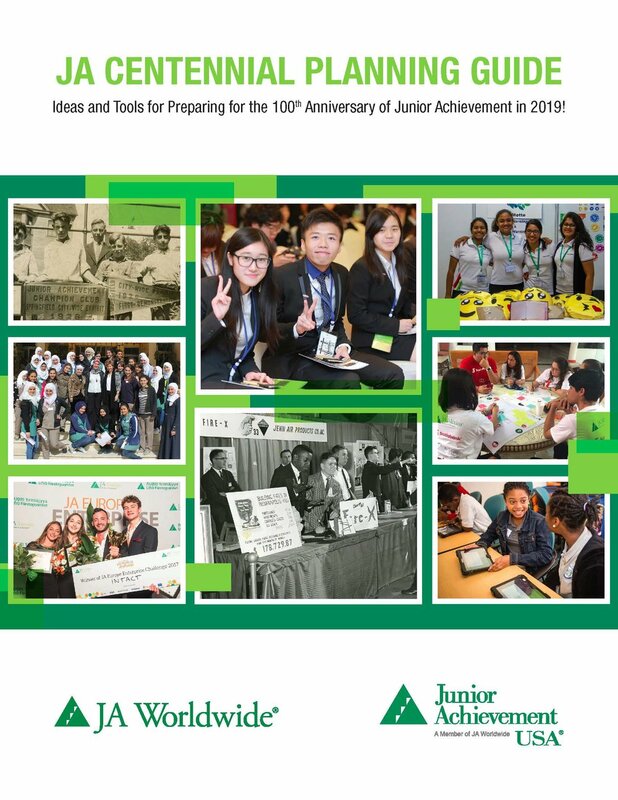 It focuses on historical context, case studies, and an approach for planning JA Centennial activities. Download it here. JA Worldwide's Erin Sawyer oversees the Centennial Alumni workstream. You can see the team's progress on the Alumni page of OneJA. Headed by JA Worldwide's Brandie Conforti, the Centennial Fundraising workstream is planning both a global gala in 2019 and a three-year Centennial campaign for the entire network. Campaign materials (one-pagers, brochure, PowerPoint, etc.) will be available for use and testing in late Spring 2018. The Events workstream has been merged into the Marketing workstream. But coming soon on OneJA: a global events calendar for the entire JA network! We're excited to announce that Larry Farrell's book The Entrepreneurial Attitude: Lessons from JA's 100 Years of Developing Young Entrepreneurs has been published and is available for member-country and local-area orders at a substantial discount. Larry, who is one of the world's leading expert on entrepreneurship, has interviewed 70 JA alumni, and Asheesh Advani provided the foreword to the book. Want to order a single copy? Get it on Amazon. Need to order bulk copies? Go here! Need marketing collateral for the book? Visit this page.